The state’s responses to the great recession, or whatever label one chooses to apply to the current malaise, is predictably bureaucratic. Hunker down. Cut fat, maybe a little muscle. Keep the process intact. Protect the system. Assume that this too shall pass and that there will be a return to most of the status quo ante later if not sooner. What if these assumptions are wrong? What if we not only have moved into a needs economy instead of the prior wants economy, but we’re going to stay there for a very long time? This is not going to be an automobile-driven economy. Cars and trucks will be purchased because we need them not because of fashion or even technology. It is unlikely that we can afford our free-market health care system. The results aren’t all that spectacular. The costs are non-competitive in a global economy. We’ve all known for a very long time that General Motors’ Blue Cross bill is larger than its bill for steel. The reality is that we have universal health care. We just have it in the most inefficient, costly form imaginable. Even after we recover from a seriously overbuilt housing market (Milwaukee is a shrinking city, which is part of the problem, but anyone trying to sell a condo there is told that it will take seven years to clear the current inventory) it is hard to believe that we will ever buy and sell houses like we buy and sell stocks and bonds again. While a lot of the troubles in the financial sector are due to the ineradicables of greed and stupidity, it is hard to imagine a return to the kind of unregulated fiscal adventures that suborned so much of the unconscionable debt that the feds are trying so desperately to detoxify or demolish. The world, in short, seems to have changed in major ways, and the response to those changes has to change as well. The governor and Legislature are reducing outlays to established programs and trying to not add to the citizens’ economic troubles by adding to their taxes. Not easy. Not enough. Worse yet, maybe not responsive. 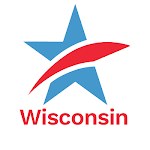 One of the things that has distinguished Wisconsin throughout most of its existence, and particularly early in both the 20th century and the New Deal, is creativity, imagination, and the daring to innovate when faced with novel problems. I assume and hope that we have not lost those attributes and that the creative juices are flowing on both ends of State Street. Old thinking in a new economyTweet this! Campaign Finance Reform Gets Serious This Week!